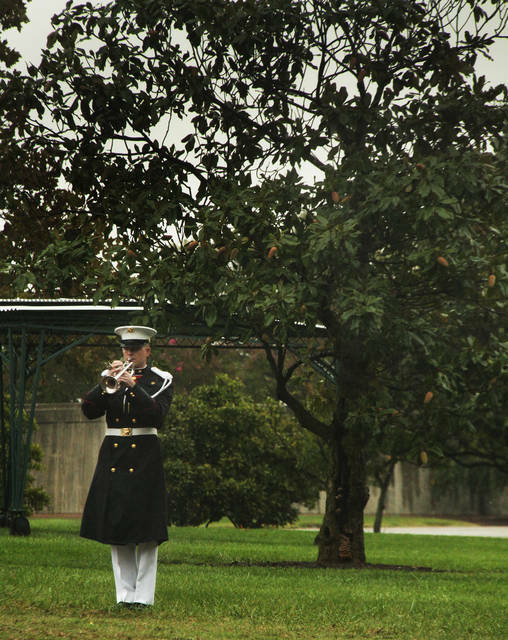 A detachment of the US Marine bandsmen played their branch hymn”The Halls of Montezuma”, as well as “Onward Christian Soldiers” and “Eternal Father, Strong to Save” during the full military honors at Gunnery Sergeant Sidney Asa Cook’s funeral. 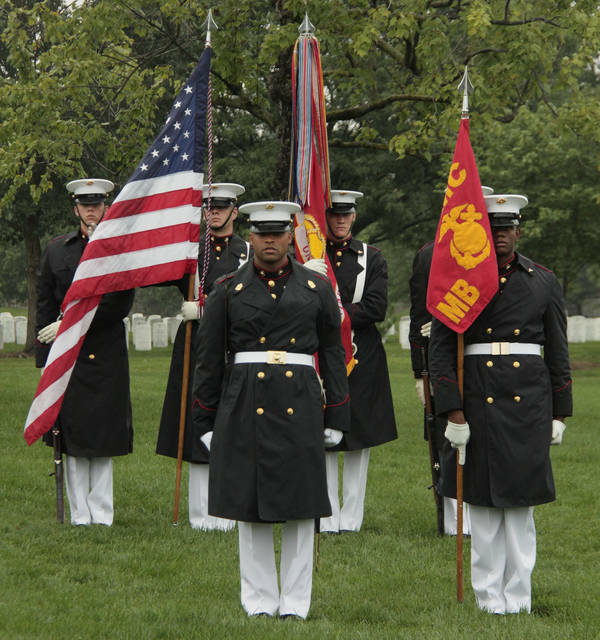 The team of Marine pall bearers stands ready to remove Gunnery Sergeant Cook’s casket from the caisson as the graveside service begins. 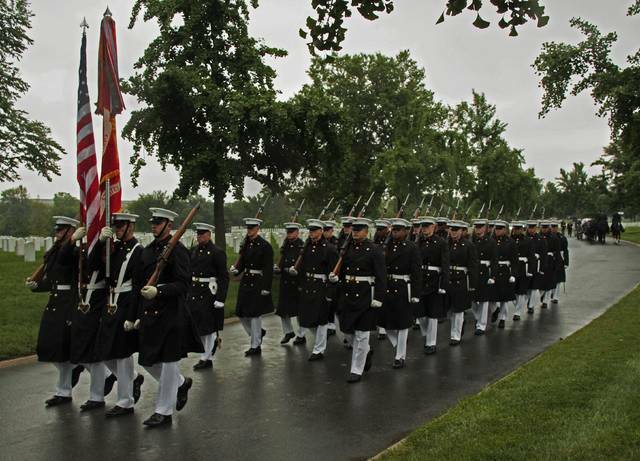 The procession makes its way through Arlington National Cemetery on Wednesday for the services of Gunnery Sgt. Sidney Asa Cook. 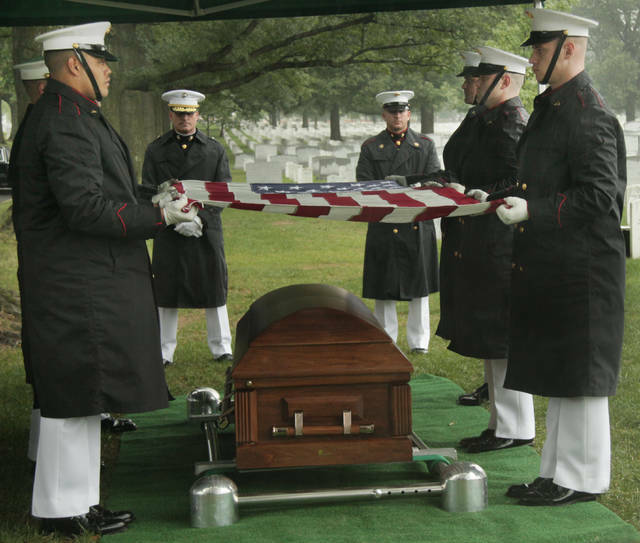 Marines prepare to fold the flag from the casket of Gunnery Sgt. Sidney Asa Cook. 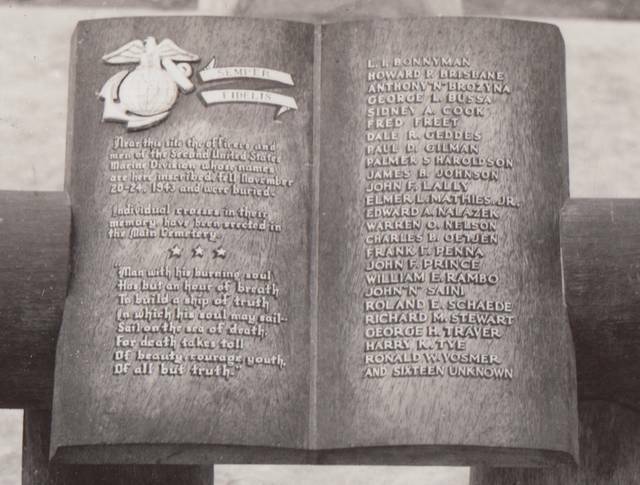 The grave marker at Tarawa listed Cook as one of the Marines who was buried in the grave following the battle in 1943. 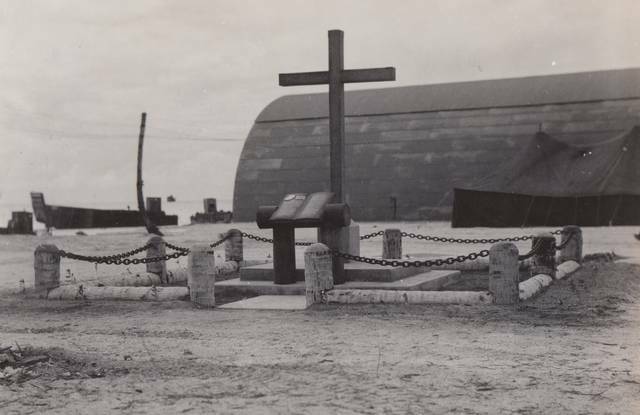 A cross was placed at each of the mass burial sites with a marker listing the names and the number of unknowns at each burial site. Brig. 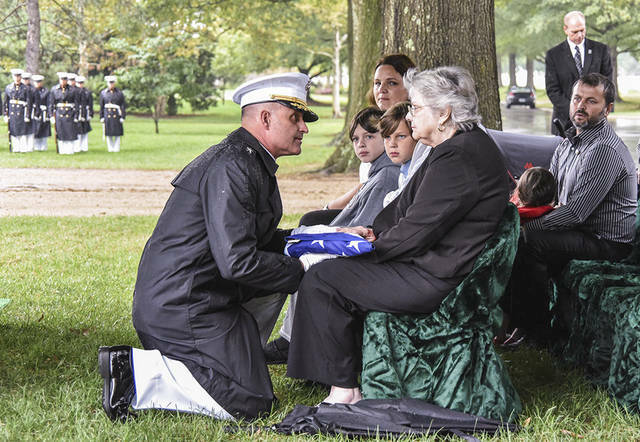 Gen. Bradford J. Gering shakes the hand of Gunnery Sergeant Cook’s grand-niece after she was presented with his casket flag by the senior officer of the detachment. 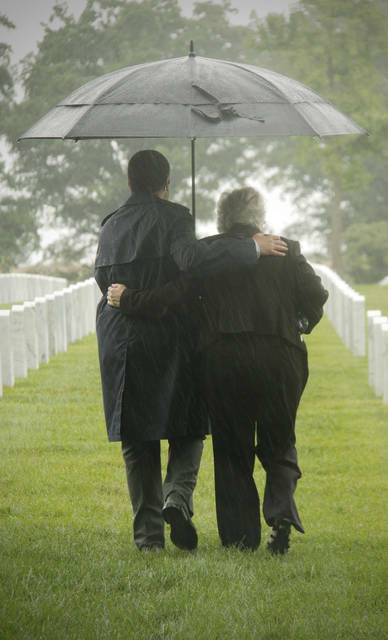 Retired Marine Michael Ryba escorts one of Gunnery Sergeant Cook’s grand-nieces to view the plot where he would soon be buried. Ryba now serves on Casualty Operations at Headquarters Marine Corps in Washington, D.C.; as well as a Casualty Specialist at the Defense POW/MIA Accounting Agency (DPAA). 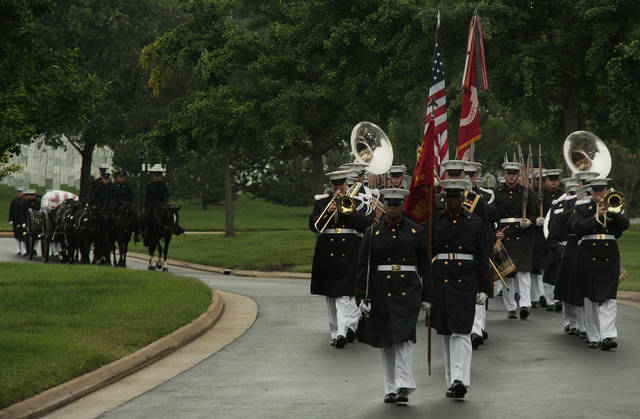 The Marine Corps Honor Guard which escorted Gunnery Sergeant Sidney Cook’s remains to the graveside on Wednesday, Sept. 6, 2017. 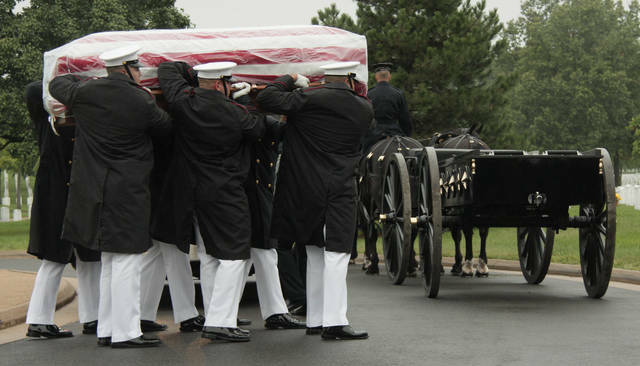 Marine pall bearers place the casket of Gunnery Sgt. Sidney Asa Cook at the start of Wednesday’s service. 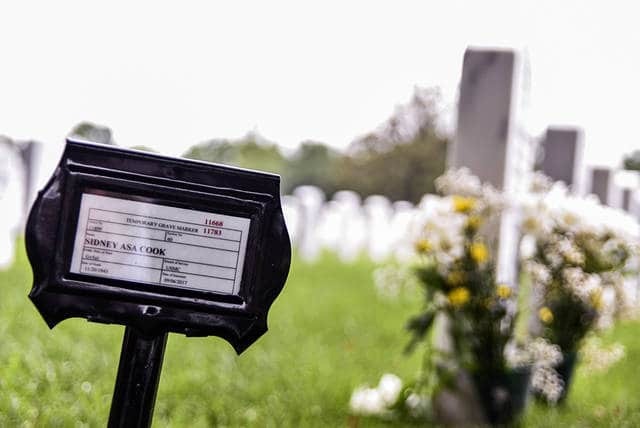 A small marker in Arlington National Cemetery notes the spot where Cook’s remains will now rest nearly 74 years after he was killed in battle. 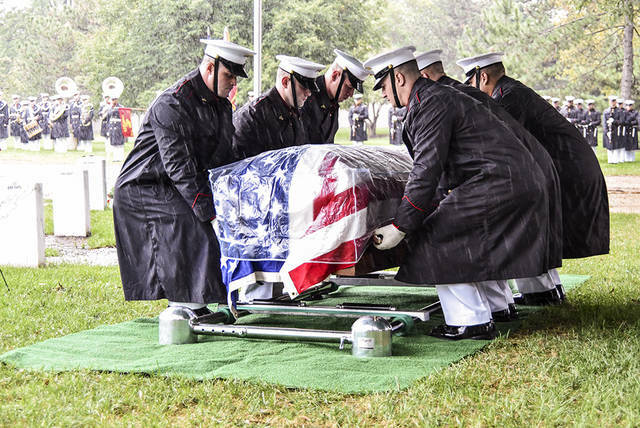 Marines carry the casket of Gunnery Sgt. Sidney Asa Cook. The flag from Gunnery Sgt. Sidney Asa Cook’s casket was presented by Brig. Gen. Bradford J. Gering to Cook’s grand-niece Dianna Seyfried Combs. 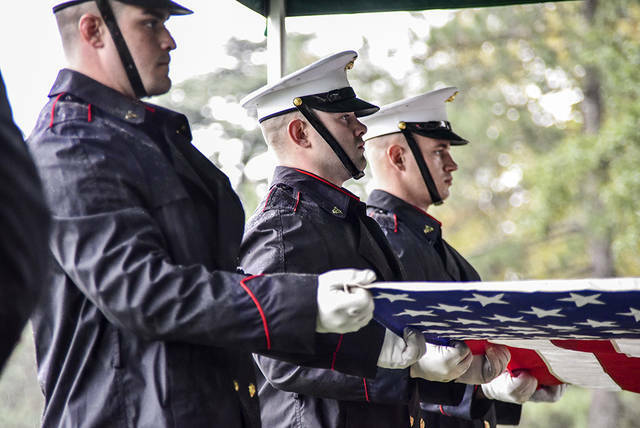 Taps is sounded after a rifle detachment fired three vollies during the graveside portion of Gunnery Sergeant Cook’s reburial. 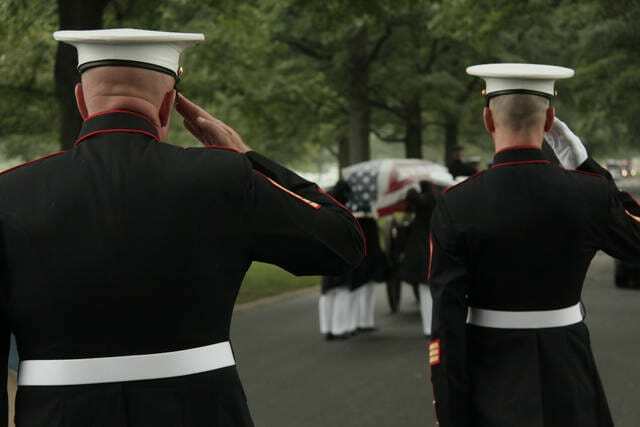 U. S. Marine First Sergeant Charles Spencer and an unidentified Sergeant render salutes to Gunnery Sergeant Cook’s casket during transfer to the graveside. Both men currently serve in Cook’s unit, E Company, 2nd Battalion, 8th Marine Regiment. 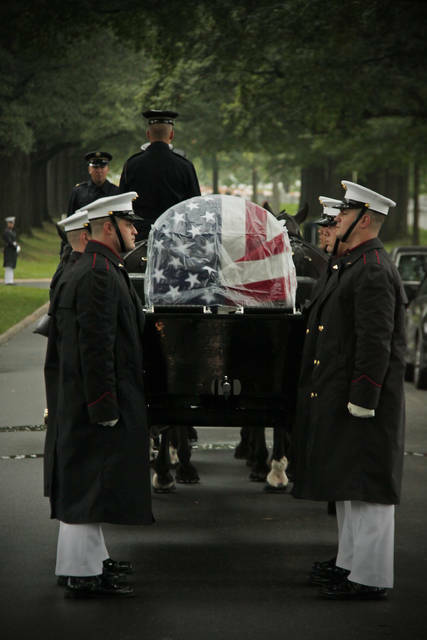 The Delta Honor Guard transfers the remains of Gunnery Sgt. Sidney Asa Cook at the airport in Atlanta. Gunnery Sgt. 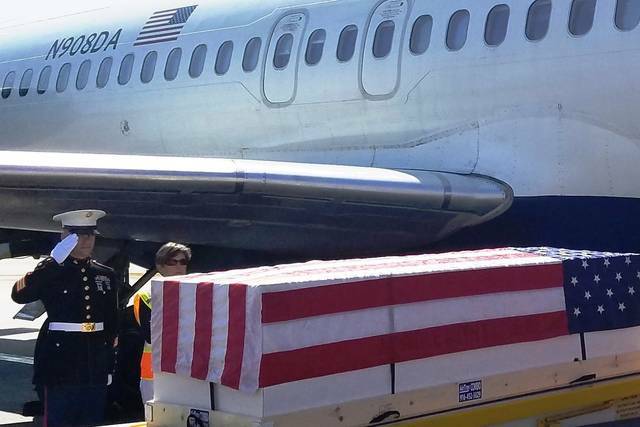 Jason Attema escorted the remains of Gunnery Sgt. Sidney Asa Cook on the way to Arlington National Cemetery. Gunnery Sgt. Jason Attema salutes as the remains of Gunnery Sgt. Sidney Asa Cook are transferred to the plane at the Atlanta airport. 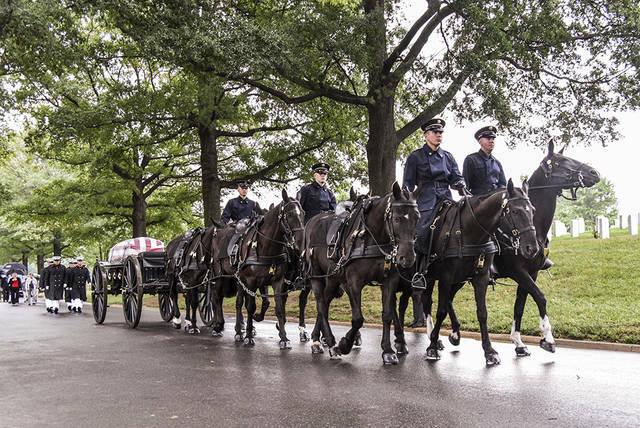 Marine pall bearers transfer the casket of Gunnery Sergeant Sidney Cook to the horse-drawn caisson which would transport him to the graveside. 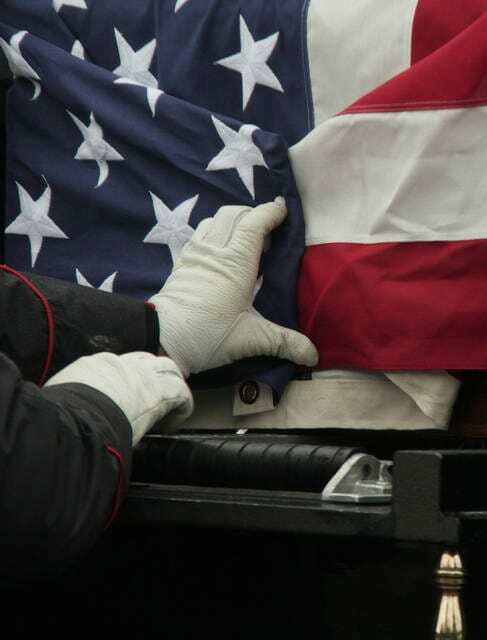 A member of the honor guard prepares the casket flag before the caisson enters the procession to the graveside. The larger portion of the Marine Honor Guard processes ahead of the caisson as they process The Colors to the graveside. 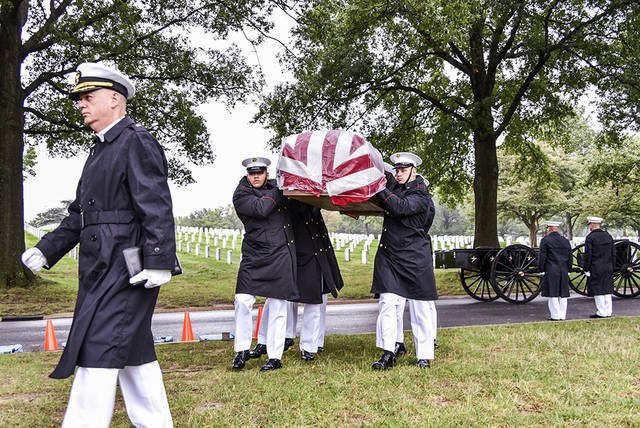 Pall bearers prepare to fold the American Flag which draped Gunnery Sergeant Cook’s casket before it is presented to his family. 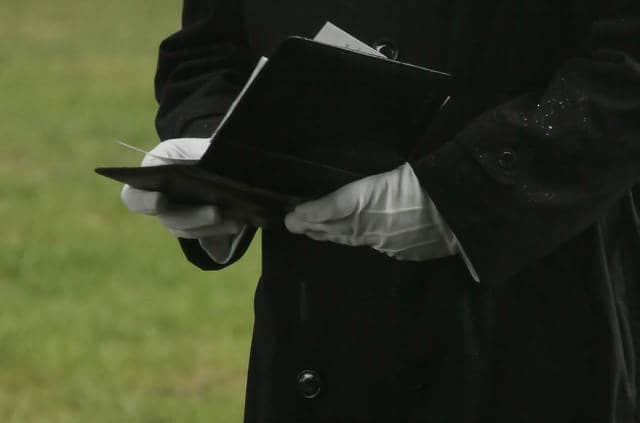 The Navy Chaplain presiding over the graveside reads verses from the Bible and blesses Gunnery Sergeant Cook before the burial takes place. 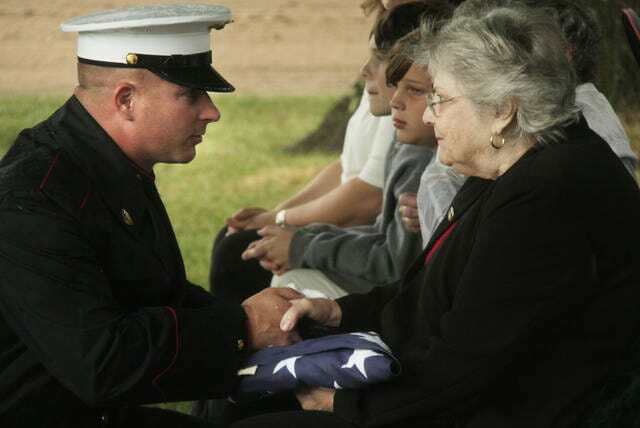 A member of the Honor Guard cradles the now folded casket flag of Gunnery Sergeant Cook before it is passed to the highest-ranking member for presentation to Cook’s grand-niece. The Marine rifle detachment processes away from their post as the services for Gunnery Sergeant Cook conclude. 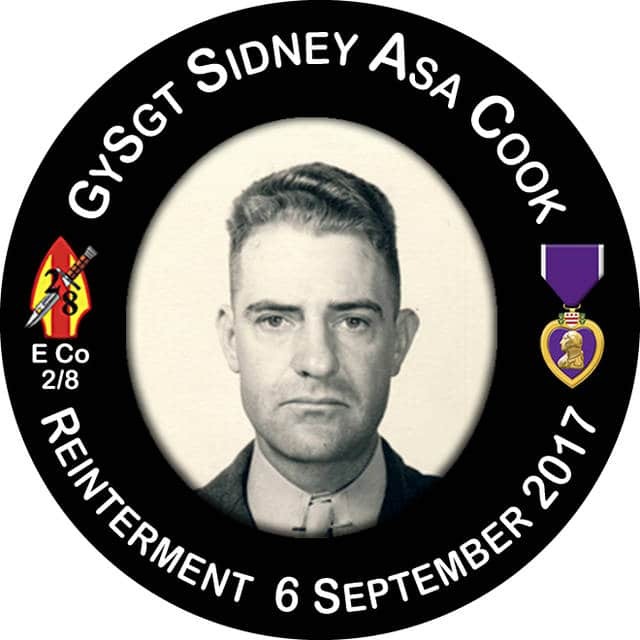 Rendering of design for Gunnery Sergeant Cook’s “Challenge Coin.” The coin will be distributed to his family members as well as those involved directly in his recovery and reburial service. 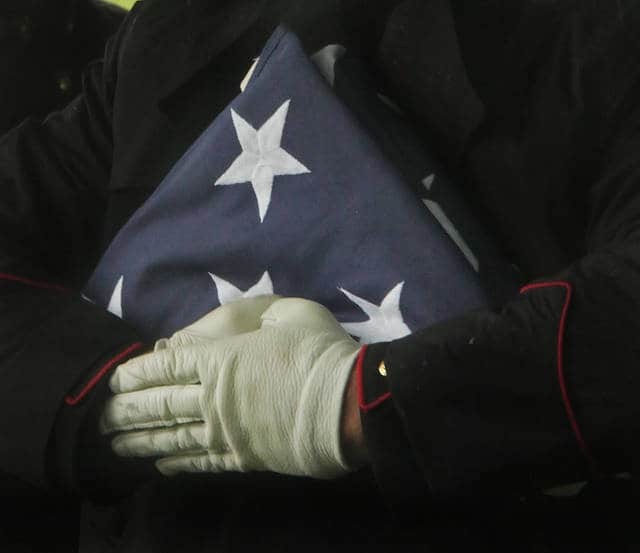 https://www.mydailytribune.com/wp-content/uploads/sites/42/2017/09/web1_Cook-15-Brian-1.jpgThe Delta Honor Guard transfers the remains of Gunnery Sgt. Sidney Asa Cook at the airport in Atlanta. Photo by Brian McConnell Sr.
https://www.mydailytribune.com/wp-content/uploads/sites/42/2017/09/web1_Cook-16-Brian-1.jpgGunnery Sgt. 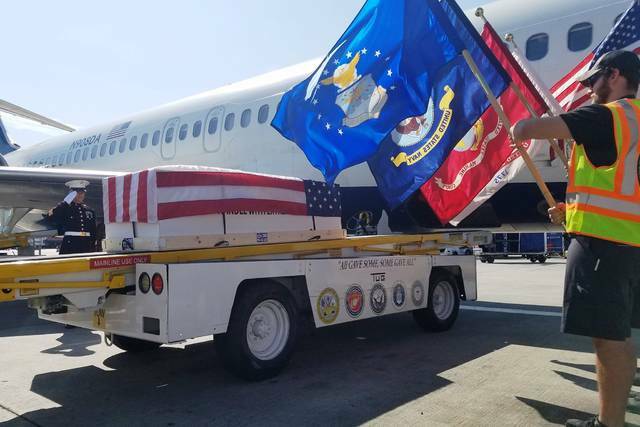 Jason Attema escorted the remains of Gunnery Sgt. Sidney Asa Cook on the way to Arlington National Cemetery. 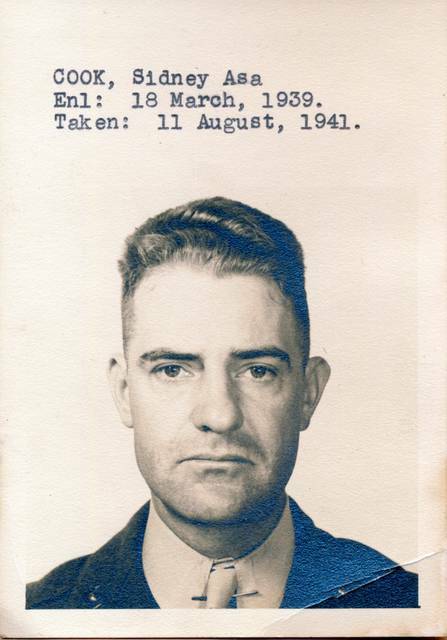 Photo by Brian McConnell Sr.
https://www.mydailytribune.com/wp-content/uploads/sites/42/2017/09/web1_Cook-17-Brian-1.jpgGunnery Sgt. Jason Attema salutes as the remains of Gunnery Sgt. Sidney Asa Cook are transferred to the plane at the Atlanta airport. Photo by Brian McConnell Sr.